Sales! Give your clothes a second chance! Best wishes for Protected content !! It is sales…. sales everywhere! Are you buying new clothes? Yes/No? What to do with the ones you don’t wear anymore??? Let’s have a drink at Hitch and donate your clothes to Stemm vun der Stross ( Protected content ), an association for people who are homeless, unemployed and/or living on a minimum wage. Stemm was founded in Protected content works for the social and professional integration of disadvantaged people. It is a non-profit association, coordinated by the Ministry of Health, and works in close collaboration with the Luxembourg Red Cross. 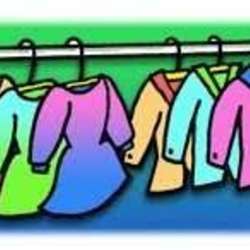 If you would like to donate your clothes, please be sure that they are only size S and M!